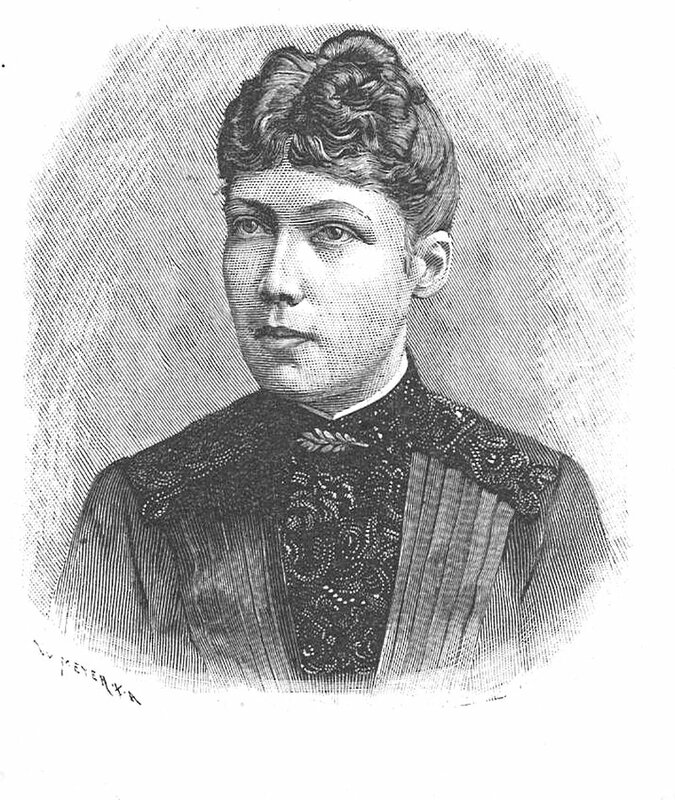 Constance Elbe was the first woman in Sweden who, in 1889, became a fully qualified dentist. Constance Elbe was born in 1864. Her mother was Costantia Wilhelmina Elbe. Her father, Adolph Abraham Elbe, came from Hamburg in Germany. After moving to Sweden he continued to run his own tobacco company, which he had set up in Hamburg. Constance Elbe grew up in Stockholm, along with her three sisters. She gained her school-leaving certificate at the Wallin school in 1883. In 1885 she began to work in Stockholm for the dentist Elias Edvard Olaison, who had been a qualified dentist since 1877. He later also became a licensor who examined dentistry students. The dentistry trade became accessible to women from 1861 onwards and Olaison allowed several women to train at his dental surgery. At that time it was necessary to first gain your Bachelor’s degree in order to become a dentist, and Constance Elbe did this in 1887. The following year she spent 6 months on a study trip to Bremen and Leipzig and visited W. Herbst, a dentist who specialised in the so-called Herbst sealing method. On 10 January 1889 Constance Elbe became a qualified dentist. That same year she, just 25 years old, set up her own dental surgery in Stockholm at Birger Jarlsgatan 2. She was also elected onto the Svenska Tandläkare-Sällskap (Swedish Dental Association). Constance Elbe was not alone as a practising female dentist in Sweden. One of the first women to do this was Amalia Assur, who began working at her father’s dental surgery and, in 1852, was given permission to practise dentistry in her own right. Rosalie Fogelberg had also worked for her father and in 1867 gained the right to work as a dentist. Carolina Gällstedt-Kronmann, who was from Visby, trained as a dentist in Copenhagen and ran her own dental surgery in Lund from 1873. However, all these women lacked the qualifications which Constance Elbe had. In addition to running her dental practice Constance Elbe was also active in Föreningen för Kvinnans Politiska Rösträtt (FKPR) (women’s suffrage association), which had been established in 1902, with  (Anna Whitlock) as its chair. Following the 1905 parliamentary decision not to introduce universal suffrage there was great dismay among the members of the FKPR. On 4 December 1905 130 women from Stockholm petitioned the king seeking suffrage for both men and women. Constance Elbe was one of the signatories to the letter, along with the dentist Alma Hård af Segerstad, who had gained her qualification a few years after Constance Elbe, in 1892. Constance Elbe died at the age of 71 in Leksand, in 1935. Constance Vilhelmina Elbe, www.skbl.se/sv/artikel/ConstanceElbe, Svenskt kvinnobiografiskt lexikon (article by Anita Du Rietz), retrieved 2019-04-23.